Havana’s seaside Malecón boulevard spills into the tunnel beneath the Río Almendares and spits you out into Miramar on Avenida 5ta. Known colloquially as Quinta Avenida, this fast-paced double-width artery runs ruler-straight through the heart of middle- and upper-class Miramar. A minimum speed of 60km must be maintained and no stopping is permitted (nor left turns, with rare exception) until you arrive at the traffic circle at Calle 110—a distance of five kilometers. Running own the center of the broad central median is a pedestrian walkway landscaped with exotic greenery. Miramar officially ends at Calle 42 but most people consider that it stretches for an extra kilometre or so, to Calle 110. The face of Miramar is changing rapidly. Raúl Castro’s economic reforms have unleashed a wave of entrepreneurship. Everywhere there’s evidence of private investments by monied Cubans and foreign partners as chic paladares and nightclubs pop up alongside state-of-the-art offices and spruced up mansions housing fashion stores, banks, real estate offices, and foreign company offices; and large inmobilarias (apartment blocks) serving a growing foreign expat communitys. Flanked by mansions of the formerly well-off gentry (most of whom fled Cuba after 1959), ‘Quinta’ is with good reason known as “Embassy Row,” as many glorious buildings now house foreign embassies. As you exit the tunnel, your eyes will automatically be drawn right to the strange yet handsome green building—the Casa de las Tejas Verdes (see below)—at the corner of Calle 2. 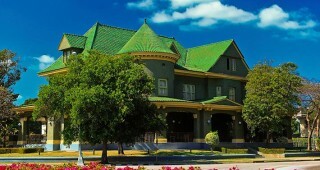 A once tragically dilapidated mansion, this recently restored gem with a conical roof is the only exemplar of American Queen Anne style architecture in Havana. It now serves as a cultural center for the promotion of urban planning and restoration. 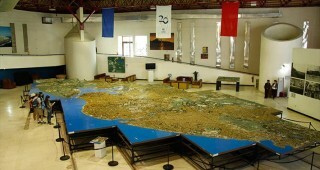 To gain a fantastic overview of the city layout and evolution, head to the Maqueta de La Habana—the Scale Model of the City–on Calle 28 between Primera and Tercera. Quinta has plenty of sites. For example, its wide central median is pinned, at the junction with Calle 10, by the Reloj de Quinta Avenida, the Spanish Renaissance-style clock tower erected in 1924 and today the official symbol of Miramar. Two blocks west, a recently restored Renaissance mansion is the unlikely home of the Museo del Ministerio del Interior (Ministry of the Interior Museum; see below), chock-full of exhibits on the CIAs often comedic attempts to assassinate Fidel Castro. Continuing west, you’ll arrive at a delightful park remarkable for its huge jagüey (ficus) trees dropping their root branches to the ground like cascading water. 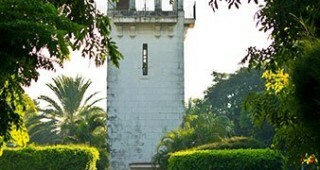 Set between Calles 24 and 26 and split by Avenida 5ta, this twin park—Parque de los Ahorcados (Park of the Hanged)—boasts a statue of the early 20th-century Mexican freedom fighter Emiliano Zapata on its southern side, and a pantheon and bust of Gandhi on the north. 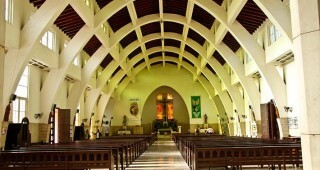 Rising over its northwest corner is the Iglesia de Santa Rita de Casia, an active catholic church blending Art Deco and Modernist styles (1942). 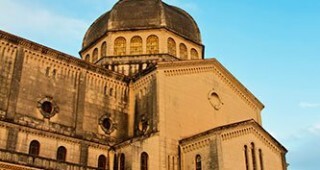 The next ten blocks is truly the heart of “Embassy Row,” delivering you at two other impressive churches: the Romanesque Iglesia de San Antonio de Padua (at Calle 60) and the Romanesque-Byzantine Basilica de Jesús de Miramar (Calle 80) run by the Capuchin order. This western end of Miramar is the heart of the city’s 21st-century business development, centered on the office towers and commercial outlets of the Miramar Trade Center complex, on Avenida 3ra between Calles 76 and 80. Large-scale deluxe hotels are here, including the superb Meliá Habana and the 1950s retro-themed Comodoro, albeit sans casino. 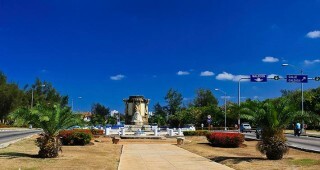 You’re a considerable distnace from Vedado and Habana Vieja, so the area is not a good base for visitors whose principal goal is sightseeing. However, the immediate area does have sites of interest. 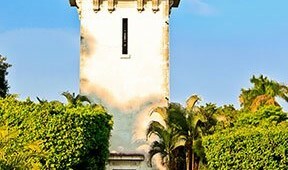 Notable is the sombre tower of the Russian Embassy (between Avenidas 3ra and 5ta and Calle 62), looking like something from a sci-fi movie and topped by a secondary tower supposedly full of spy gear to peer over the horizon at Florida. It can’t be visited, of course! 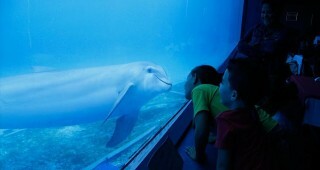 However, the adjacent Acuario Nacional (3ra and Calle 62) puts on spectacular dolphin shows. 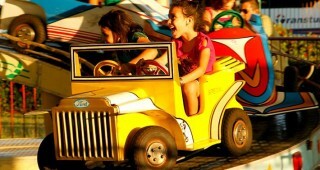 The Parque Temático Isla del Coco (3ra and 110) theme park keeps kids amused with bumper cars, Ferris Wheels, and other rides. And adults may appreciate the anthropological displays at the Fundación Antonio Núñez Jiménez de la Naturaleza y el Hombre (Avenida 5taB between 66 y 70), where the fascinating collection of Cuban revolutionary comandante, geographer, and anthropologist Antonio Nuñez Jiménez includes a vast collection of carnal ceramics by Latin American indigenous cultures.